So I’m going on week three of my time here in Prague. I spent this past weekend in Budapest, Hungary. My roommate and I departed by train on Thursday after her class. What was supposed to be a seven hour train ride turned into an eight hour train ride due to construction on the tracks……… By the time we got to Budapest it was around 12AM. We entered the Budapest train station and weren’t quite sure what to do, so we figured we should take out hungarian currency at the ATM and call an Uber. However, in order to call an Uber we needed wifi so after the ATM we began the too-familiar hunt for wifi. While we were successful with our hunt, neither of our Uber apps were working so we had to take a taxi to our Air BnB which is usually the best ways to get ripped off in a foreign country since taxis often over charge. Which is exactly what happened. Anyway, we finally made it to our Air BnB and waited for our friend Meg who flew in from Madrid. Once we were all safe in our Air BnB we got some rest after a long day of traveling. The next day we woke up around 10AM and got breakfast at this cool place that was really close to where we were staying. 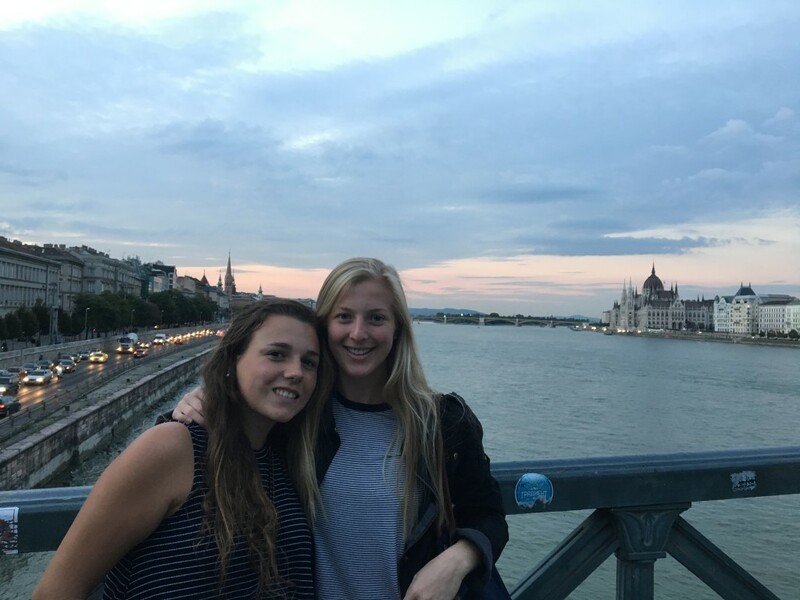 Since we were only going to be there for 2 full days (Friday and Saturday) we decided that Friday would be our sight seeing day and we would spend Saturday at the famous thermal baths in Budapest. So once we finished breakfast we walked across the Chain Bridge which is a really beautiful famous bridge in Budapest. From the bridge we could literally see all the worthy tourist attractions in Budapest. 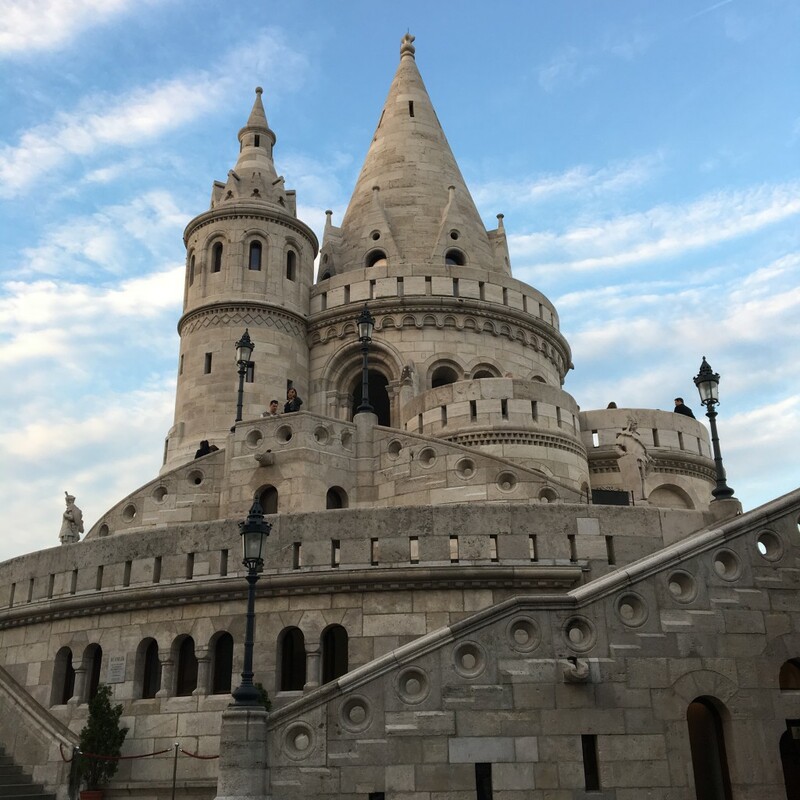 From Budapest’s majestic castle, to Fisherman’s Bastion, to the mighty parliament building, it was all there. We of course had to see them up close, but the bridge provided a nice preview. So eventually we stopped taking pictures and made it across the bridge. In order to get up to Buda castle we took this cool trolley thing call the Castle Hill Funicular. Apparently it’s part of the true Budapest experience. Anyways, after making it up the hill and then taking a bunch more pictures, we decided to explore the castle grounds. It was so amazing. I honestly felt like I was in Game of Thrones, laying siege to the Buda castle. I’ll post some pictures so you all can see what I mean. 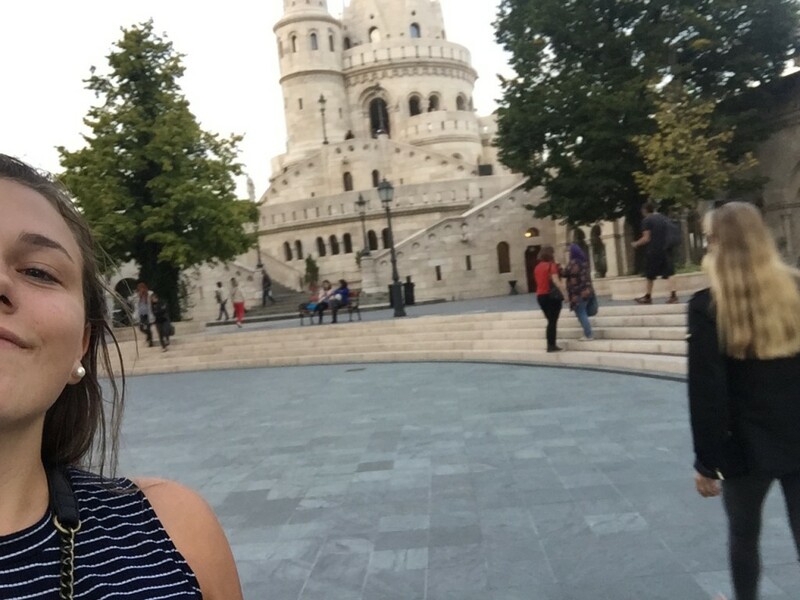 Right next to Buda castle is Fisherman’s Bastion. However we didn’t realize this until we had already come back down the Funicular and crossed the bridge. But we weren’t giving up, so we turned back around and headed towards Castle Hill once again. It was approaching sunset which at first worried me because I didn’t want to walk back to the Air BnB in the dark. In hindsight, I now know that this is the absolute best time to go. I thought the views from Buda castle were amazing, but the castle had nothing on Fisherman’s Bastion at sunset. I was seriously in awe… I’ll post the pictures but honestly not even the greatest camera in the whole world could capture the colors of the sky that day. I’m getting nostalgic writing about it…. And the actual bastion structure was beautiful it looked kind of like a huge intricate sand castle, or at least I thought so. I wish you all could have been there to see it. After saying our silent goodbyes, we made the trek yet again across the Chain Bridge and found our way back to our Air BnB after a wonderful day. The next day I woke up and I was kind of homesick because I always wake up way too early- before all my friends in Europe do and even back in America everyone is asleep thanks to the 6 hour time difference so I always get anxious when I wake up early. However, this was a good morning because Ashley (my roommate) and Meg woke up shortly after I did. After eating, we headed to the House of Terror. It sounds scary and dreadful because it was. 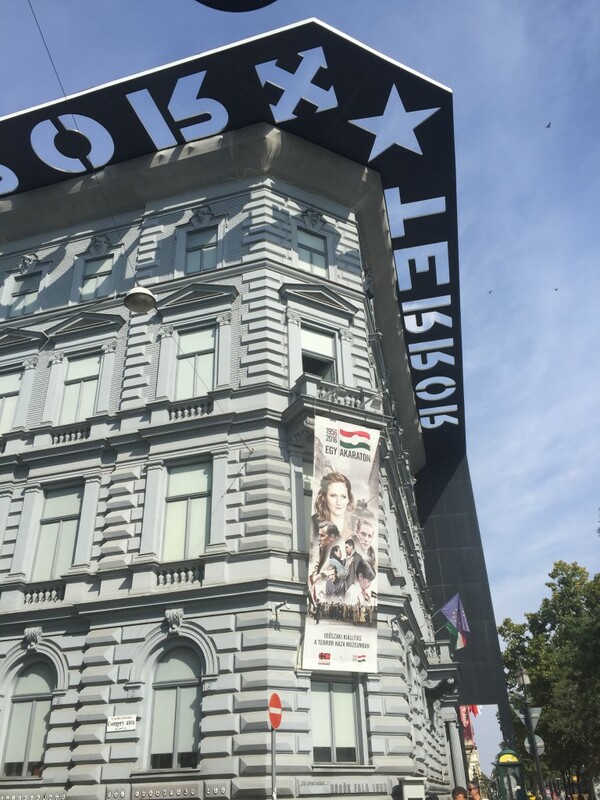 It’s this museum that demonstrates periods of fascism and communism in Hungary. It also serves as a memorial for those who fell victim to these horrific regimes. So we went through the whole museum which takes about 2 hours. It was really emotional and overwhelming. However, I’m definitely glad I saw all of it. I never really learned much in depth about other country’s perspectives during WW2 and the Cold War, but this definitely gave me an insight to how terrible it was. After leaving the museum, we headed for Budapest’s famous thermal baths. It was interesting but also confusing. I don’t really know exactly how to describe it but it was like a huge jacuzzi… I didn’t take pictures because I’m pretty sure photography is prohibited, but I wouldn’t want to look like a creep anyway. If you want, you can just google thermal baths and you’ll see. But yeah, so I mean it was pretty relaxing and we went into the sauna and whatever. The tickets were for 3 hours but honestly after like an hour and a half I was just thinking “sooo now what…”. 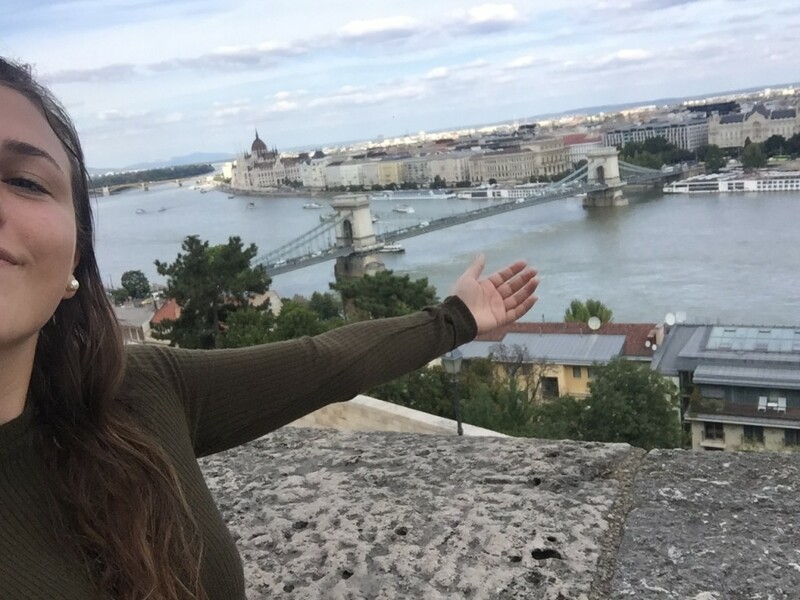 I’m not really one to just sit around when I’m in a foreign country and I kinda just wanted to explore Budapest a bit more. So after the thermal baths we went by the parliament building which was crazy impressive.. It looked like some medieval castle or something. We also checked out St Stephen’s Basilica. Then we went to dinner at Comme Chez Soi… IT WAS SO GOOD!!! I got the “Spagetti Napoleta” and it was so delicious ugh I’m hungry just thinking about it. Honestly one of my favorite meals that I’ve had abroad. Granted I’ve only been here for two weeks. Also- Budapest is like Prague when it comes to pricing- everything is SO cheap. I can order a 5-star meal with a glass of wine and it’ll come out to about $13 USD. It’s pretty awesome since I’m a college student with a tight budget. After this wonderful meal, we walked back to our apartment and fell asleep. We began our journey back to Prague around 1pm. The train was actually on time so we got back around 8ish. I basically just looked out the window and listened to Drake’s album “Views” the whole ride back so it wasn’t too bad. Again, I will post pictures to follow. 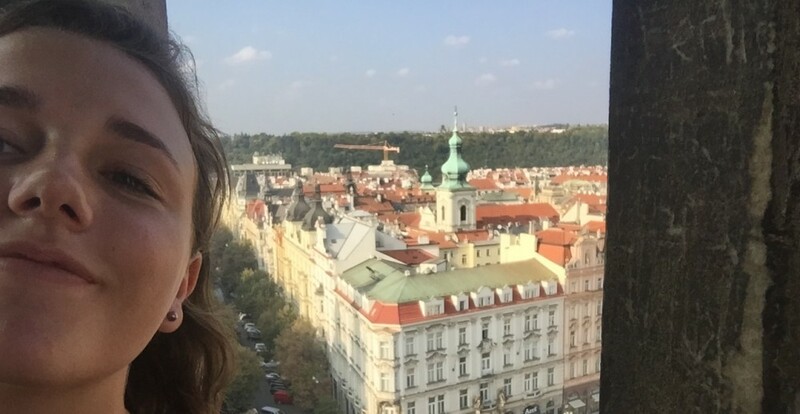 Also I will tell you more about Prague it’s just that Budapest was my most recent adventure so I had to write about it. 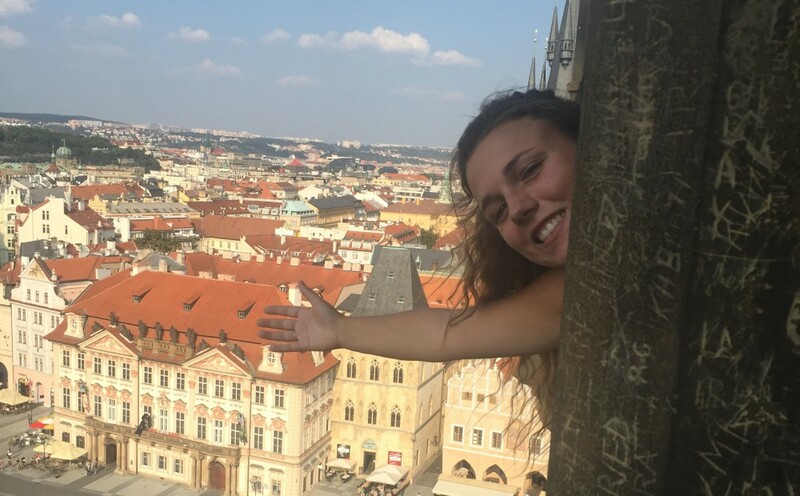 Follow this Fall 2016’s Office of Study Abroad & International Experiences Global Correspondent, Elizabeth Mahoney, on her studies in Prague! 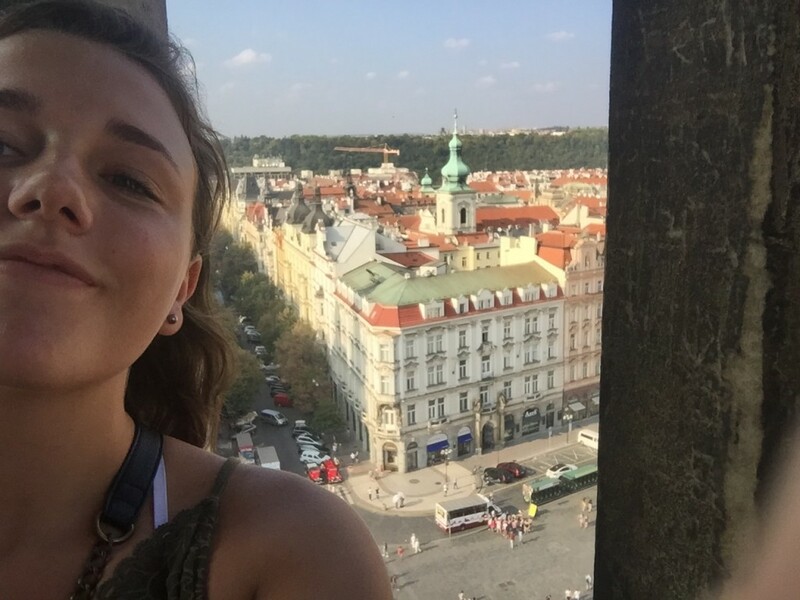 Elizabeth is a UMass Lowell Economics major studying this fall on a UMass Lowell partner-led study abroad program, International Studies Abroad (ISA): International Business & Economics at the University of Economics, Prague.